Drilling Rigs in New York? Reports out of Albany note a push by the Governor to lift the gas drilling rig ban and fracking ban in the State of New York. The push is for gas drilling rigs to be allowed on private land. Construction of gas drilling rigs on public land would remain an issue for further study. 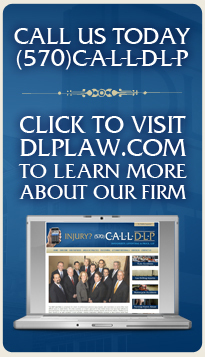 The twelve lawyers at DLP continue to represent people seriously injured in accidents at gas drilling rig sites, tractor trailer/truck accidents and other serious accidents in Northeastern and Central Pennsylvania and the Southern Tier of New York.